I spent an interesting few days trialling Windows Phone recently, I chose the the highly recommended Lumia 930 hardware to give it the very best chance to wow me into keeping it. It didn’t stick, in fact while there were a few design features I liked and the hardware was vastly more powerful than my ageing iPhone 4S, I decided pretty quickly that it wasn’t for me. Deep down I realised that my smartphone is a tool, I’m not seeking a gadget fix, something to occupy me for day while I tinker around with it, tuning it to my life. I just want the apps that I’ve woven into my life and be done with it. Windows Phone failed to deliver those apps, so it failed to weave its way into my life, it felt like an annoyance, a glossy, heavy, gadget that rubbed me up the wrong way. The poor functionality of the apps that I managed to find. Apps that I love on iOS that really share only the same name, having just a small subset of the functionality (often provided by a wrapped HTML 5 web app). Many of the apps that I found were clearly abandoned, with no updates for many months, apps that had stopped working, or stopped syncing and not been fixed. Apps that exist on Windows Phone but don’t have a companion apps that’s also compelling on WinRT, ie on a Windows tablet. Then of course there are the hundreds of other apps that I use only when I need them, the app to submit my gas and electricity readings, to check the sunrise time, to find out when the next high tide is, to track my walks and cycle rides, to access my bank, to check the train times, to manage my blog, to track my pain levels, and on and on and on, death by a thousand cuts. The vibrancy of the Apple eco-system is just not present, the buzz and excitement that developers have when they can reach hundreds of millions of potential customers. I’m hoping that Microsoft has a plan, that they are working hard in the background on developer tools and platform changes that will allow them to fully embrace Android apps on Windows 10, all form-factors, within a year. As Apple found to it’s cost many years ago, people go where the apps are, developers go where the apps are selling. I wrote this post sitting in my favourite Caffe Nero in Nottingham, it opens at 7am and has two excellent clusters of window seats, I got the best one, and watched the city come to life as I typed. 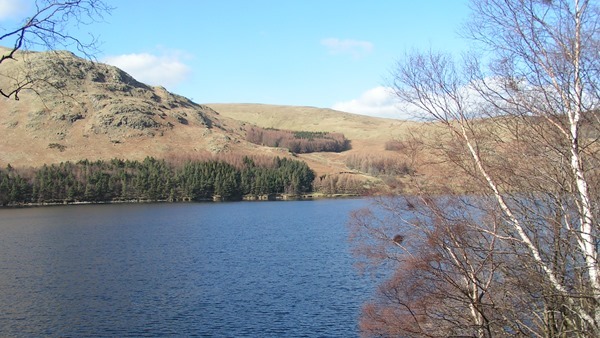 For the picture I chose the beautiful Haweswater, in the eastern lake district, I never consider going hiking without my maps and that means without my iPhone and iPad.